Discover the hidden secrets of St. Petersburg at night and marvel at its tucked-away oddities on this small-group walking tour with a guide. Visit the city’s oldest and most beautiful railway station, discover metro station art relics, and sip on vodka in a bar famous among locals. Enjoy personal attention from your guide on this small-group tour, limited to 12 people. - Minimum age is 19 years. Photo ID must be supplied to your guide at the beginning of the tour. - Comfortable clothing and walking shoes. This is a historical St. Petersburg tour with a twist: instead of stopping off at the city's many monuments, you'll go on a journey off the beaten path for a dose of real local life. 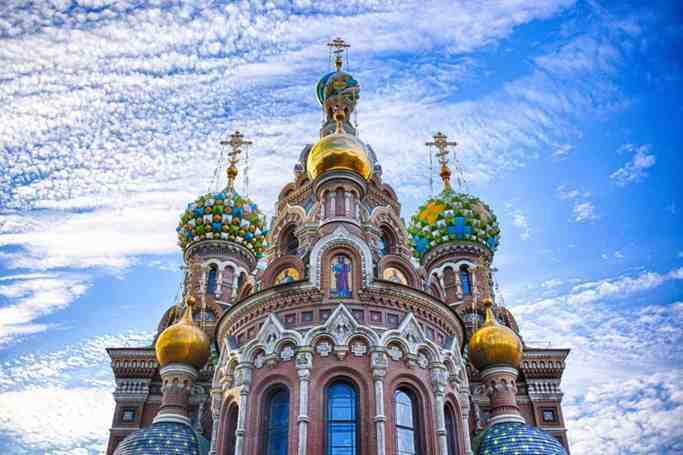 Join a guide to see what makes St. Petersburg tick for the people that live there. Begin this St. Petersburg tour at the information booth on the Palace Square. This square is the heart of St. Petersburg local life and where the city’s most important celebrations always take place. Continue along St. Petersburg's busiest street, Nevsky Prospect, home to restaurants, theaters, and museums. 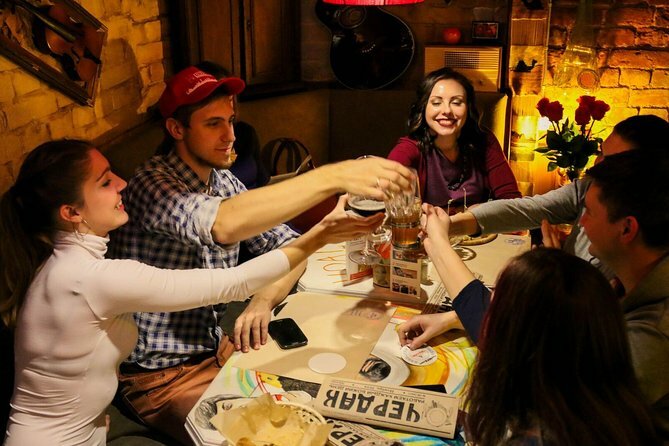 All along here, you’ll find Russian history side-by-side with the modern life of local youth – and with a St. Petersburg citizen by your side, you’ll really feel the local life. Turn off Nevsky Prospect and head toward the Vladimirskaya metro station. Here, you can see a monument to the famous Russian writer Dostoevsky, who lived and worked in one of the houses nearby. Then, go down into the metro where you’ll see the oldest rail line with its most unusual interior. Your guide will show you some secrets of the metro and will explain why St. Petersburg’s system is so much more than just public transport. From there, head to the Vitebsky railway station, one of the most beautiful places in St. Petersburg, and constructed in the same style as the Eiffel Tower. Your St. Petersburg city tour ends next to Vosstaniya metro station, where you'll visit a local bar for a taste of the good stuff in a traditional Soviet-style vodka room. Thanks for a great tour - seen some nice hidden places in a beautiful city! Excellent tour!! the guide was very friendly and knowledgeable and took us to many places that we had already seen during the day, and that were different during night time. The lights were amazing and the view places were just incredible!! definitely the city is different at night and totally worth to see!